Alaska is a story long in the telling. Despite the challenge of climate and mountains, its widely held that this was the first place humans lived in the Western Hemisphere. An accident of nature made this possible, but it took a hardy people to take the high road to the Americas. The Eskimos, Aleuts, and Indians who have been here longest have a unique subsistence heritage that has only recently been awkwardly thrust into the modern world. While many non-native Alaskans trace their roots back to Russian trappers or early gold seekers, most are first-, second-, or third-generation residents with various roots and a vigorously adopted "Alaskanism." Established towns and cities are fairly balanced in gender representation, but the seasonal and itinerant work force is largely male, somewhat skewing the total population. Alaska hosts numerous and often caricatured individualists or "end-of-the-roaders" who deliberately sought the fringes of society to begin a self-reliant life in a land of challenge. The traveler will get the feel of Alaska almost immediately, discovering how land and people fit each other. Officially 586,412 square miles in land area (656,424 with state waters), Alaska is 3.5 times larger than California, while having less than 2 percent of its population. Out every door is a short route to wilderness. Any family can wake to a bull moose browsing in the yard. People care for each other easily when the need arises, enjoying stronger bonds of community than individualist caricatures would suggest. The first humans to arrive in North America came across Beringia in several waves of migration from Asia. The migrations occurred between 30,000 and 10,000 years ago, and possibly as early as 40,000 years ago. Humans moved south from Alaska along the coast, and perhaps made their way across an ice-free, overland corridor between the coastal mountains and the continental interior. As of 17,000 years ago, native peoples had spread throughout North America; by 10,000 b.c. they had reached the southern tip of South America. Along with contemporary species, the earliest Alaskans found a land populated by mastodons, woolly mammoths, saber-toothed cats, giant sloths, and cave bears. There is still some dispute over the demise of these species, but many hold that their extinction was a direct result of competition with humans. Some of Americas earliest civil-rights battles were fought by native Alaskans demanding land rights and equal treatment under the law. In 1971, after oil was discovered in the Arctic, the sweeping Alaska Native Claims Settlement Act (ANCSA) was enactedin part to settle the many small claims quickly to assure unobstructed access to the oilfields. ANCSA promised cash payments and deeded approximately 10 percent of Alaska lands to 12 native corporations. All Alaska natives are members of one of the corporations, each of which encompasses a contiguous geographical region of the state. Smaller village corporations were established in permanent native settlements. The corporation structure allows native groups to own and administer their land, resources, and revenues. By most accounts, it is a substantial improvement over the reservation system in the lower 48. Corporations can deal effectively with the larger economy while fairly representing shareholders. The Arctic Slope Corporation is an example of financial success. The corporation receives a share of Prudhoe Bay oil revenues in addition to direct ANCSA payments. Members currently have a life reminiscent of a wealthy OPEC state in which the corporation pays for all basic services, from education to health care, and provides a monthly stipend to members. The total value to each individual is upwards of $30,000 per year. Other corporations dont currently fare as well. Danish explorer Vitus Bering, for whom the Bering Sea and Strait are named, was probably the first European visitor to what is now Alaska. Sailing for the Russians, he landed on St. Lawrence Island in 1728. In 1741 he extended his explorations along the Southcentral coast, bringing a Russian party under Aleksei Chirikov to Kayak Island in eastern Prince William Sound. Bering and others died on the journey, but members of the party returned to Russia with otter pelts. Russian trappers followed up on the discovery and were soon at work depleting the otter population as they would all along the coast, as far south as California. In 1784 Grigory Shelekhov (or Shelikof) founded the first permanent Russian settlement on Kodiak Island. 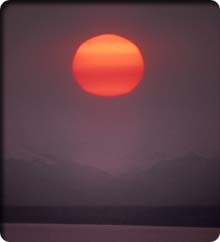 Shelikof Strait is named for him, as Cook Inlet is named for Captain James Cook, who visited the region on his travels in 1788. Czar Paul I chartered the Russian-American Company in 1799 to control the otter trade, appointing Alexander Baranov as its head. Baranov established a settlement at the present site of the town of Kodiak, then moved on to found New Archangel, later renamed Sitka, in 1799. The Tlingit Indians burned Sitka in 1802, but it was rebuilt two years later and served as the capital of Russian Alaska until it was sold to the United States. During the ensuing period, the Russians founded a number of settlements, surveyed mineral wealth, experimented with agriculture, and established trade routes. In 1867 United States Secretary of State William H. Seward reached an agreement for the purchase of Alaska from the Russians, who sought to secure Alaska in the hands of an ally rather than lose it to the British. The state was formally turned over to the United States on October 18, 1867, in a ceremony on Castle Hill in Sitka. The purchase quickly became known as "Sewards Folly," his critics contending that it was a waste of money. The U.S. War Department, Treasury Department, and Navy administered the land until a civil government was established in 1884. Seals, whales, and otters were harvested throughout the late nineteenth century, continuing the decline in populations of each. Fur seals were particularly hard hit. When the government began fur-seal protection in the early 1900s, numbers were just over 100,000. The population today is estimated at 2.5 million. Salmon fishing also grew in importance during this period. Despite this modest economic activity, Alaska remained almost wholly undeveloped. Enter gold! Prospectors were working several modest claims in Alaska in the late 1800s, but it was news from Canada in 1896 that really got things going. That year, gold was discovered in Rabbit Creek, a tributary of the Klondike River which flows into the Yukon River at Dawson City. About 30,000 people came to the Yukon in the Klondike Gold Rush of 189798, most arriving via the instant boom towns of Skagway and Dyea. Over Chilkoot Pass on the Chilkoot Trail they went, then down the Yukon to the gold fields. As with all such rushes, the early birds and big investors struck it rich while most just squeaked by or failed altogether. By 1910 the all but exhausted claims had produced $100 million worth of gold. With the ports of Valdez and Skagway opened and regular sea traffic established, intrepid prospectors pushed inland. Gold was discovered again on a beach on the Seward Peninsula in 1899, ushering in Nome as a new boom town and chief city of the Bering coast. In 1902 it appeared yet again, this time in the rivers that fed the Tanana and Yukon near Fairbanks and to the north. Gold was discovered in the feeders of the Iditarod River in 1906, at the edges of the Kuskokwim Mountains near the town of Flat. A year later, the hills south of Ruby on the Yukon River divulged their golden secret. Juneau was made the capital of Alaska in 1900 and, in 1912, Alaska became an official U.S. territory. By then, the slogan "Sewards Folly" had been turned back against the original critics. In the 1920s aircraft slowly began to supplement riverboats and dogsleds as modes of transportation into the bush. The Alaska Railroad from Seward to Fairbanks was completed in 1923. The thirties saw the establishment of agriculture in the Matanuska Valley. Still, development was expectedly slow, limited by difficult transport, harsh conditions, and the fading of the gold boom. In 1942 the Japanese attacked the Aleutian Islands, bombing Dutch Harbor and occupying the islands of Kiska and Attu. In a breathtaking effort that same year, the United States built the entire 1,523-mile Alaska Highway from Dawson Creek, British Columbia (not to be confused with Dawson City, Yukon), to Delta Junction, Alaska. They also built another 500 miles of road, including the Haines Highway (Haines to Haines Junction) and Glenn Highway (Tok to Anchorage). The islands were retaken in 1943, but the accompanying military build-up persisted throughout the Cold War. Several bases are active today, including Fort Richardson and Elmendorf Air Force Base near Anchorage, Fort Wainwright and Eielson Air Force Base near Fairbanks, and Fort Greely near Delta Junction. Alaskas population nearly doubled in the 1940s, reaching 130,000 by the end of the decade. Since then, the lure of various economic booms has combined with intermittent periods of widespread unemployment to keep the state growing in fits and starts. News of jobs attracts people to Alaska, butlike the Klondike gold rush that set the tonemany dont find what they expected and in time must turn their efforts elsewhere. Five types of economic activity generate revenue of consequence for the state and its citizens. Two of them, oil and the military, were recently in decline. Mining offers steady work for many, but grows reluctantly in the modern environmental era. Fishing and tourism fluctuate annually in their revenue-generating potential and are easily affected by circumstances beyond anyones control. When the economy is growing, jobs pay well and often go wanting. Anyone willing to work hard in fishing, construction, mining, and oil production can ride the coattails of a minor boom, socking away a lot of money in a short period. When the booms fade, workers must leave the state for greener pastures or head for that paid-for cabin just off the highway to hunker down and wait for the next opportunity to knock. This boom-to-bust cycling is an integral aspect of life in Alaska. Even when larger trends are on a steady rise, the annual cycles of the tourist and fishing industries persist. In May hundreds of businesses open, construction projects get underway, and thousands of seasonal workers stream into the state. In September you can almost feel people drain away. Each day on the highway offers longer intervals between vehicles. When the northland gets dark and cold, the economy goes into partial hibernation. The vivid rhythms of the seasons are a part of Alaskans lives in a way that other Americans could never appreciate. Even those who live in places where the seasons bring great change cannot imagine frozen Deadhorse, where the winter sun doesnt rise above the horizon for two months. Alaskans love their land. They feel a sense of ownership for their state and its issues like no others. Challenge and struggle are a part of the lives of even the wealthiest among them, and they know at all times that local economies are a step away from disaster. That step could be a volcano or a congressional decision, an earthquake or an oil spill. There is nothing casual about choosing the Alaskan life. Four major events since World War II have shaped the status of land use and wilderness preservation in Alaska. The first occurred when Alaska gained statehood in 1958. As part of the transition, the federal government promised 28 percent of the land to the state to do with it as it saw fit. Second was the discovery in 1968 of huge oil and gas deposits on the North Slope. New infrastructure and a flow of revenue brought a burst of development. Third on the list was the signing of the Alaska Native Claims Settlement Act in 1971, with 10 percent of Alaska land going to native corporations. With the rights of corporate landholders, resource exploitation ensuedparticularly the clear-cutting of forests on the south coast. Last and perhaps most important was the remarkable Alaska National Interest Lands Conservation Act (ANILCA), shaped, supported, and signed into law by President Jimmy Carter on December 2, 1980. 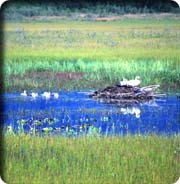 ANILCA doubled the size of the U.S. National Park and National Wildlife Refuge systems, adding 97 million acres. The act also set the stage for the final selections of federal parcels by the state and native corporationsa process that is still not complete. When all the dealing is done in a few years, about 62 percent of Alaska will remain in the federal public domainowned and stewarded, if youre a U.S. citizen, by you. The most remarkable feature of ANILCA is that the selection criteria used to secure federal parcels was based largely on conservation of critical habitat and scenic wonders. Fifty-seven million acres of designated wilderness (the equivalent of two dozen Yellowstones) presently exist within the larger system of BLM lands and 37 national parks, preserves, forests, monuments, and wildlife refuges. Twenty-six National Wild and Scenic Rivers preserve hundreds of miles of free-flowing waters and riparian environment. The final decision on the Tongass National Forest Management Plan, made in April 1999, protects more wilderness area and river miles. Alaskans call their state "the last frontier," and with good reason. To this day, fortune seekers, homesteading pioneers, and other searchers are pushing back the limits of the wild country to carve out a life in difficult conditions. The state offers great deals on land in remote locations. With the major issues of land distribution behind, the stage is now set for decisions regarding how that land is used. Manufacturing may be growing as a part of the economy, but the exploitation of natural resources and the improvement of infrastructure are still the states primary development goals. Three recent and current issues highlight the kinds of choices that confront individuals, businesses, native corporations, state, and nation. Most of Alaskas panhandle (the Southeast) is federal public land, almost all of which is managed by the U.S. Forest Service as the Tongass National Forest. Of the 10 million forested acres, about 8.5 million acres are old-growth Sitka spruce and western hemlock. Much of this forest is suitable for use as lumber and pulpbut is equally suitable as habitat and scenic land. So far, only a small percentage of the old growth on federal public lands has been harvested. In the recent battle over the new Tongass Land Management Plan, timber companies and the Alaskan congressional delegation went head to head with the Clinton administration, environmental groups, and the tourist industry over the future of the forest. Virtually every key pro-exploitation legislative effort was defeated. It became clear that government subsidies to timber interests were doomed and that long-term contracts due to expire would not automatically be renewed. Policies were strengthened against road building and for the protection of habitat and "viewshed." With the final decision on the plan in April, 1999, it appears that the integrity of Tongass wildlands will stand for another decade. But this strong new sentiment of preservation is no small thing to the towns of the Southeast. The economic backbone of several communities is at stake, particularly Ketchikan, where a polluting pulp millthe last remaining in the panhandlewas closed in March of 1997 due to falling pulp prices and tough regulations. Towns like Sitka have recovered strongly from the closing of large mills, but the changes in community character and job opportunities were bitter pills to many residents. The fate of Ketchikan remains to be seen. While the mountainous regions of the vast Arctic National Wildlife Refuge (ANWR, pronounced "AN-wahr") are protected as designated wilderness, the coastal plain along the shores of the Arctic Ocean is "standard" refuge land and legally open to some development. There is a strong indication from very limited explorations that a substantial amount of oil lies beneath the plain, much of it accessible from proposed drilling pads on native and public lands. Congress has prevented development from proceeding by blocking exploration on federal land and prohibiting road building and industrial transport between the state lands around Prudhoe Bay and the Arctic Slope Corporation land. Three entities stand to gain tremendously from ANWR oil development. The oil companies (British Petroleum, Chevron, Exxon, and Arco) are poised to leap into action, their Prudhoe Bay experience erasing many uncertainties about profitability. The Arctic Slope Corporation and smaller native corporations could score big via fees, royalties, and native hiring rules. The state of Alaska will also benefit hugely, certainly because of job opportunities for residents, but also because the biggest cut of government income goes to the state. As the production of the Prudhoe Bayarea fields continues its steady decline, the pressure for ANWR development gradually builds. Advanced technologies offer the chance to extract the most oil with the least impact. A list of promises and stringent regulations are in place to ameliorate damage. Guarantees to remove every trace of intrusion once the oil is gone could be inked in an instant. Everyone concerned has beaten the issue to deathdevelopment is only a shift in the economic and political winds away. From an Alaskan, or even an American, perspective, its hard to argue with those who would have the oil out, but I have no trouble drawing the line and saying "no more" (though its hardly my line to draw). Alaska is what it is because of what hasnt happened to it yetit is perhaps the last place on Earth where wilderness that is vast and vital has a chance to survive. That is enough for me, though it is never enough across the committee table. Tenuous arguments about the fragility of the tundra and behavior of the Porcupine caribou herd are all that substantially forestall the decision to develop ANWR. Vastness, vistas, and wholeness are not yet accepted as sufficient values for wildland preservation. Starting with the construction of the Glenn, Haines, and Alaska Highways in 1942, each of the states major road-building projects has changed the face of Alaska forever. Some roads, such as the Richardson Highway linking Fairbanks with the port of Valdez, began as winter roads and early overland routes. Others, like the Dalton, were sliced new through raw wilderness that had never known regular human travel. Today road building is an issue that enflames passions and brings otherwise pleasant conversations to an abrupt end. "Why shouldnt I be able to drive to Nome?" the proprietor of the resort at Circle Hot Springs asked me, pointing out that you can get anywhere from everywhere in the lower 48. Why indeed? The answer, increasingly, is that the American public will not allow the construction of any more roads across federal lands. Of course, that largely unaware public is represented by congress-people and appointed Department of the Interior heads who change with fair frequency. So while well-loved national parklands are probably safe, obscure BLM parcels that never get a visitor are continuously at risk. In a recent effort, Alaska tried to use the wording of old law to claim that footpaths, snowmachine trails, and other regularly utilized minor transit corridors qualified under states rights as eminent domain property. The state claimed to have the legal right to improve those passages any way it saw fit, including establishing a roadbed that could accommodate semis and RVs. Local, short-term thinking in Alaska is common and hard to argue with, but we shouldnt forget that the incremental development of wildlands represents the incremental end of the wildness. In the end, it is a matter of values. The extra push for development in Alaska is a response to both opportunity and current instability. Visitors should consider reminding Alaskans that nearly two-thirds of the state is owned by all Americansbut remind them gently.